hansgrohe understands that everyone has their own idea and preference of what makes the most rewarding showering experience. 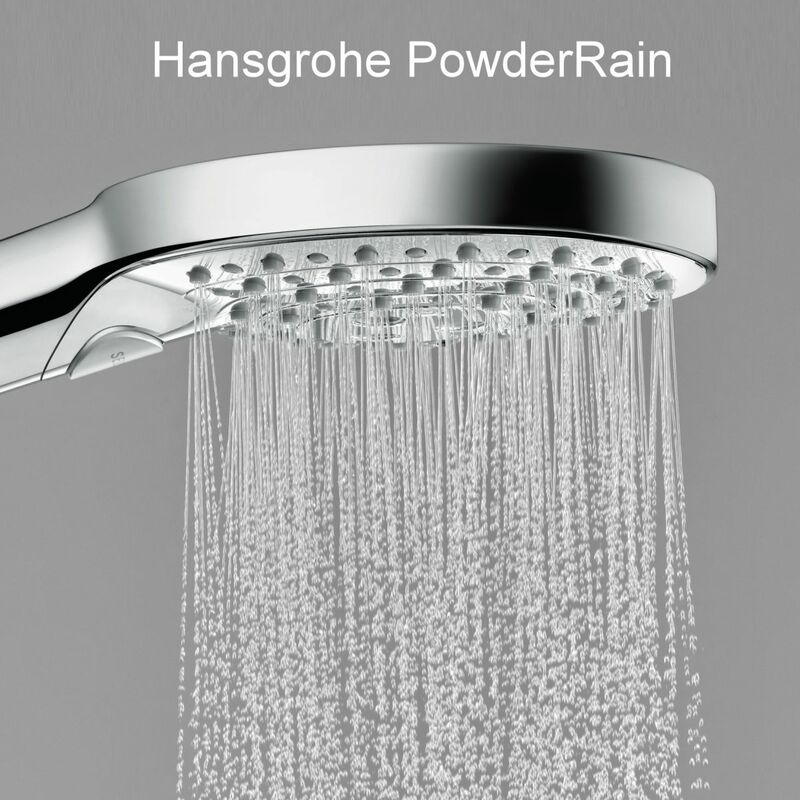 Therefore, a brand new sensation has been created, hansgrohe is proud to unveil their new PowderRain spray! This is a highly innovative spray mode which is aligned exclusively for the premium range of hansgrohe Raindance Select S, and Raindance S showers. Inspired by the rainforest’s warm and misty droplets, hasngrohe has developed the new PowderRain spray to bring you a brand new showering sensation. A velvety- soft touch to your body, PowderRain delivers a sensuous showering comfort. In place of one single spray outlet for each nozzle, PowderRain includes six fine openings that transform its generous spray into thousands of incredibly light microdroplets that gently fall on the skin without bouncing off. Simply tap the button, you can instantly experience the soft sensation. Due to hansgrohe’s innovative technology, splashing is not a worry anymore, numerous tiny droplets combine together to provide an intense impression. It creates a fall of droplets that cocoon so much more of the body, and intensify skin sensation. Furthermore, it’s quieter too! You can watch the splash and sound testing videos here. You can find the modern, highly functional and reliable premium range here. 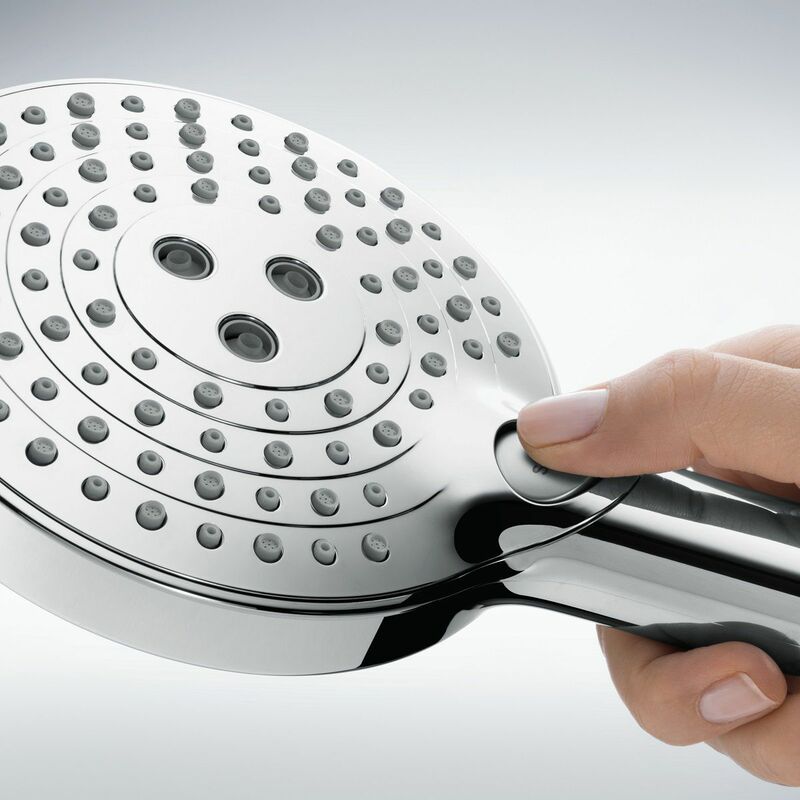 A totally indulgent choice that will transform your showering experience.